Need a theme for your salon business? 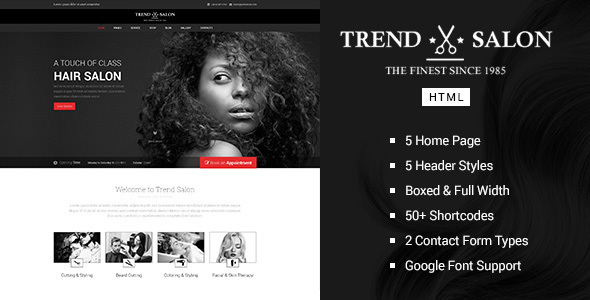 Trend salon is here to promote or showcase your salon/style business. Customize with tons of shortcodes and create a salon/beauty template according to your needs. With lots of flexibility and option you can create a beautiful template with minimal coding knowledge. Also this theme is ready to convert to WordPress with appropriate class names and tags.